On the third anniversary of her burial at sea . . .
Like the Jewel of the Nile in a movie by the same name, the Jewel of the Emerald Coast is not a precious gemstone. This jewel is the retired United States Naval Aircraft Carrier CVA-34, the USS Oriskany, the last Essex Class super carrier of its kind to serve on active duty. 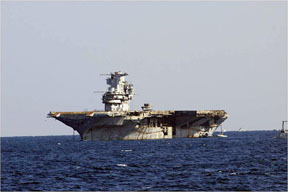 May 17th marks the annual anniversary of the Oriskany's burial at sea in 2006, now resting in its final berth in 212 feet of water on the bottom of the Gulf of Mexico 25 miles south of Pensacola, Florida. Since being sunk, the ship has become a valuable jewel to fisherman, recreational divers and local merchants on the Emerald Coast. 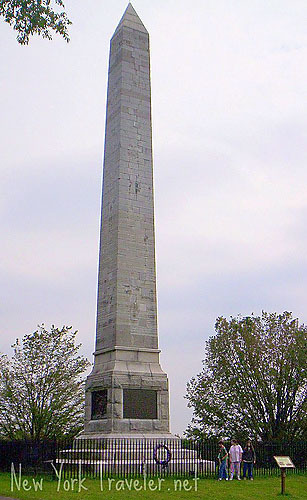 Oriskany Battlefield: Bloodiest Battle of the American Revolution. The Navy named the renowned aircraft carrier after a strategic battle of the Revolutionary War, the Battle of Oriskany where the Tryson County Militia under the command of General Nicolas Herkimer defeated the British in the Mohawk Valley, New York on 6 August 1777. Historians credit this battle as key in turning the tide of the Revolutionary War in favor of the Americans. Originally designed and built to serve in World War II, the war ended before the Oriskany was completed. However, the Korean conflict prompted the Navy to finish her construction and commissioned her on 25 September 1950. The Oriskany remained on active duty for more than a quarter century, spanning two major wars and received two battle stars during the Korean War and five battle stars during Viet Nam deployments. From 1965-1975 she served nine continuous months for every year on the gun line except one and accumulated over four years total time in combat. Not only will historians remember the Oriskany provided much of the air power for the Viet Nam war, but that her officers and sailors help found the Tonkin Gulf Yacht Club while in North Viet Nam waters. 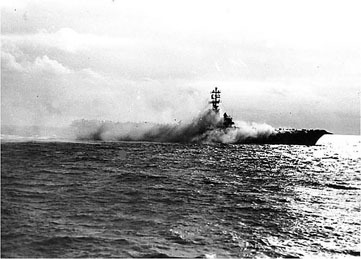 In June 1952, she also had the distinction of being the first aircraft carrier to round Cape Horn. Individual colorful patches of the Tokin Bay Yacht Club and the Cape Horn passage commemorate both events. appeared in two 1954 major motion pictures, The Men of The Fighting Lady, starring John Wayne and The Bridges at Toko Ri, starring William Holden and Mickey Rooney. She also had a cameo appearance in Capricorn One and was mentioned in Top Gun, starring Tom Cruise. During October of 1966 the famous comedienne Martha Raye, also a registered nurse, was aboard the USS Constellation giving a show when a catastrophic fire broke out on the Oriskany killing 44 officers and men. She immediately offered her services to help treat the injured seamen, however the Oriskany's commander, Captain Iarrobino, felt the conditions aboard were too dangerous for Miss Raye and declined the offer. 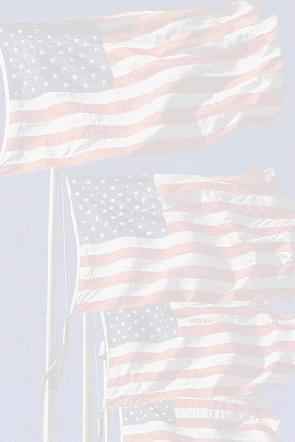 who ran as the US Vice President candidate with Ross Perot in the 1992 presidential election. Another pilot, John McCain, became a United States Senator and a presidential candidate in 2000 and 2008. Both Stockdale and McCain took their last flights from the Oriskany and both were POWs in the infamous Hanoi Hilton, a North Vietnamese prison camp. 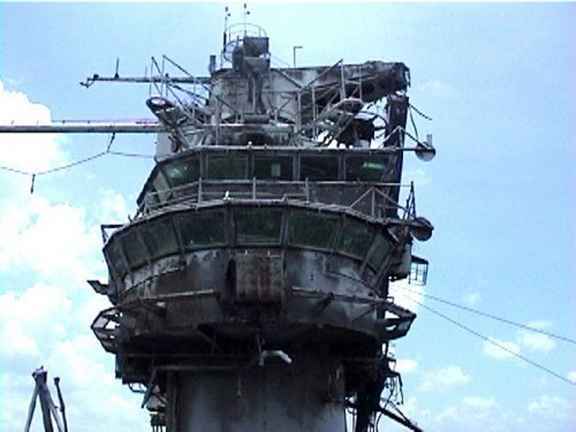 After decommissioning in 1976, the future of The Mighty O remained uncertain for almost three decades. The Navy considered various outcomes such as turning it into a museum or selling it to Japan for a special project, but both projects failed to materialize. The Navy then tried to sell The Mighty O for scrap metal. 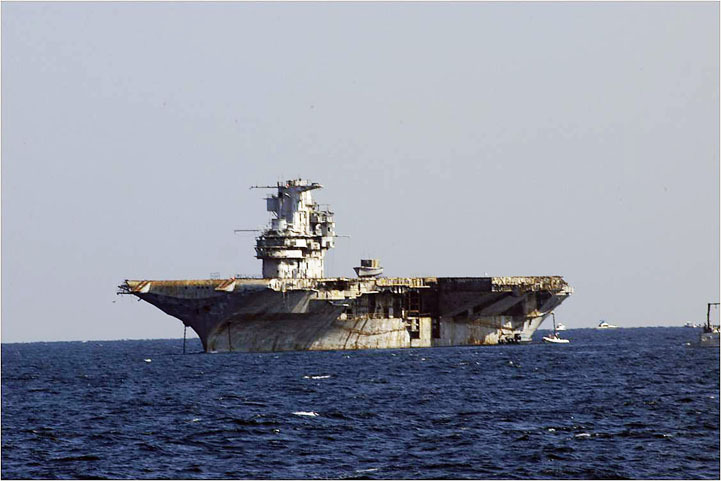 That too failed so the Navy decided to bid out the ship for the artificial reef program, the first and only US aircraft carrier of its kind to do so. The state of Florida eventually won the bidding among the other Gulf States wanting the ship to be sunk in their waters. The Oriskany had to undergo preparation for sinking both in Corpus Christi, Texas and Pensacola, Florida to ensure nothing could hurt the environment or injure recreational divers. The US Environmental Protection Agency required all toxic materials removed such as PCBs, asbestos insulation, lead based paint and various liquids from 565 separate storage tanks. All surfaces then had to be cleaned by scorching or by powerful hydro-blasters. With over one thousand separate rooms in the ship, it took thousands of man-hours and over 8 months to accomplish. to haul it, but the entire planned quota was met when only half way through her cleaning. To finish the project twenty-six more huge dumpsters were needed to haul away the excess waste. 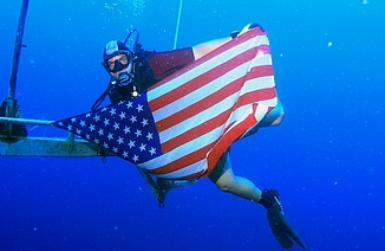 The state of Florida required all cables, protruding objects and anything else that could injure or trap a diver underwater be removed from the ship. The entire wooden deck and over 200 miles of cable materials containing PCBs had to be taken out. This additional work took more man-hours before the ship could finally be sunk. After the removal of hazardous materials and the salvage of over 1000 tons of precious metals, The Mighty O left Corpus Christi towed by tug boat over 500 miles across the open waters of the Gulf of Mexico to Pensacola, Florida. There, the ship was rigged for demolition. On 16 May 2006, The Mighty O took her last voyage, towed into the Gulf of Mexico 25 miles south of Pensacola then moored overnight by four huge anchors above her permanent berth. Silently she waited throughout the dark night to fulfill her destiny. The next day, 17 May 2006, an electronic charge sent through ten miles of detonation cord blasted open twenty-two sea valves with plastic explosives to begin the sinking. Thirty-seven minutes later, the USS Oriskany slipped under the surface and came to rest on the bottom in an upright position with just a slight lean. Only a foot difference separates the depth from one side of the flight deck to the other, a span of 145 feet. One side measures 135 feet from the surface, and the other measures 136 feet. fitting tribute for this heroic and decorated combat vessel. Even in its final resting place, The Mighty O continues to serve. Speaking engagements on the topic of the USS Oriskany can be scheduled by contacting info@Patriotmediainc.com.